The second half of my list is my celebrity girl crushes! For some reason this list is always extremely easier for me to create. There are so many who aren’t on my list that I really feel bad about (Mindy Kaling, Tina Fey, Jennifer Lawrence), but it’s not that big of a deal. So, without further ado, here is my top 10 celebrity girl crushes. 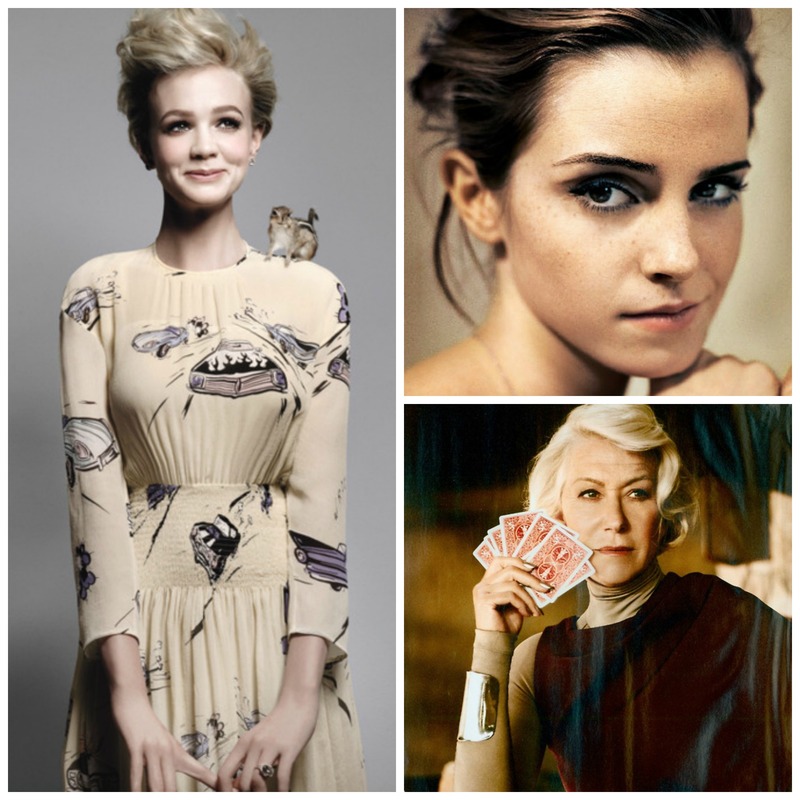 Carrie Mulligan, Emma Watson, and Helen Mirren. Good old Helen Mirren is like a fine wine- she keeps getting better and more badass as she gets older. I will never stop thinking she is divine. 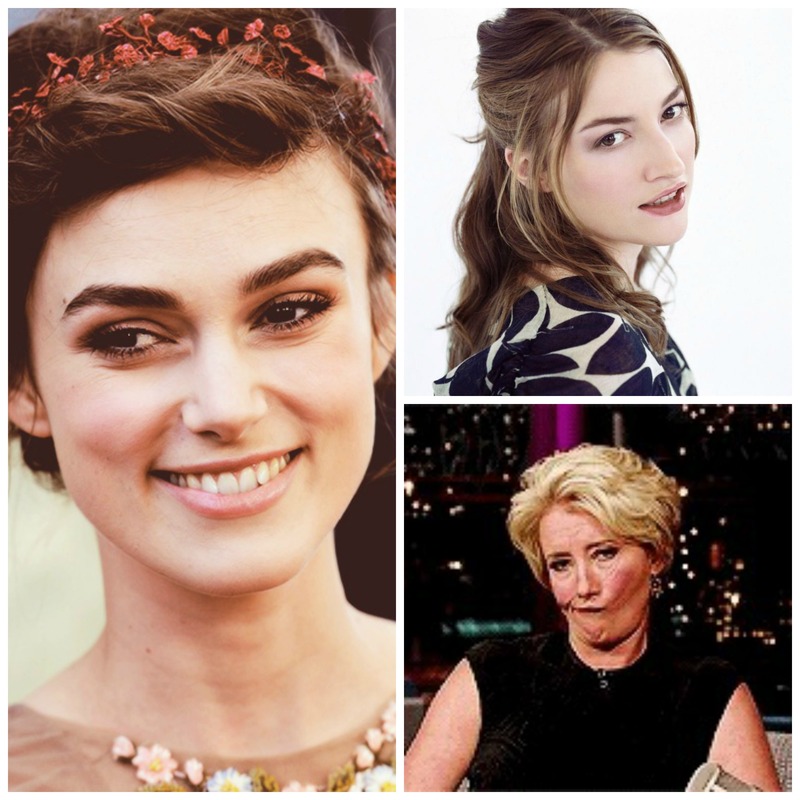 Kiera Knightley, Kelly MacDonald, Emma Thompson. Kelly MacDonald gets the Scottish vote on my girls list and I have loved Kiera Knightley through good and bad movies. Emma Thompson. Look at her. That face is perfection. Elizabeth Banks, Selma Hayek, Emilia Clarke, Rose Byrne. The first two are funny and gorgeous and are made even more awesome to me after their stints on 30 Rock. I think it goes without saying this last bunch is just helplessly pretty and stylish. This entry was tagged Carrie Mulligan, celebrity, celebrity crush, celebrity crush list, Elizabeth Banks, Emilia Clarke, Emma Thompson, Emma Watson, Helen Mirren, Kelly MacDonald, Kiera Knightley, Rose Byrne, Selma Hayek, top 10, top 10 celebrity crush list. Bookmark the permalink.